A Deadpool Set Weapon Kit including a Backpack, two imitation ninja swords, two imitation ninja knives – Ideal for a Comic theme or a TV & Film theme! Get ready to rampage in style with this fantastic Deadpool Set.This official licensed Deadpool Set comes including a backpack, two imitation ninja swords, and two imitation sais’. The black backpack features attached straps and a plastic section to attach the Ninja Swords to, making sure you’re ready for action! 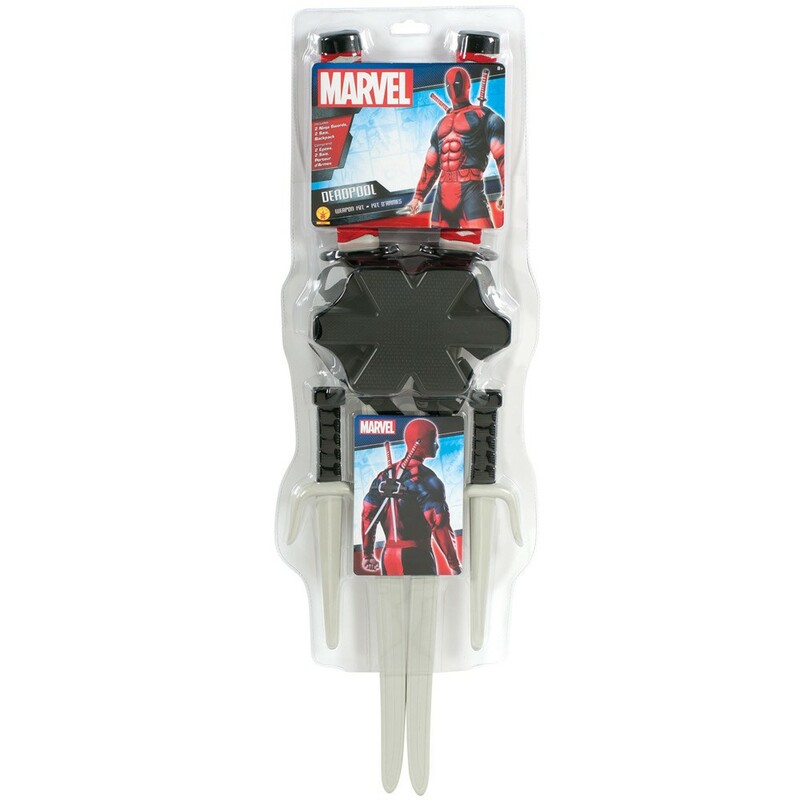 Perfect for a TV & Film theme, a Marvel theme or a Comic theme this Deadpool Set will be sure to add the perfect finishing touch to your fancy dress look! So make sure your ready to party Deadpool style with this brilliant Deadpool Set. Available in sizes One size. A Deadpool Set Weapon Kit.